Not that she needed the help, but there will be no filibuster to keep the "man"—actually to exclude a "wo"—in Federal Reserve chairman. 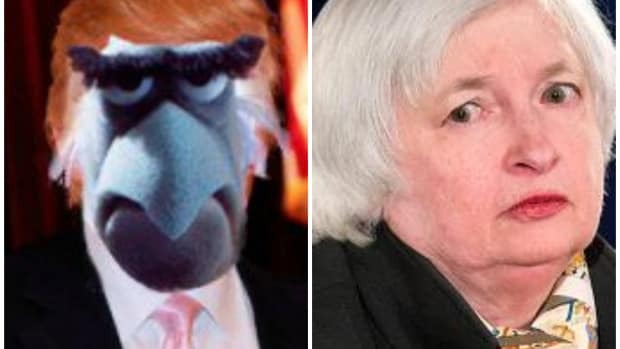 Janet L. Yellen took a giant step on Thursday toward becoming the first woman to lead the Federal Reserve Board when the Senate Banking Committee sent her nomination to the full Senate with a 14-8 vote…. The Republican votes against Ms. Yellen indicated the full Senate would not give her anything close to a unanimous vote of confidence, but supporters and opponents said she would easily have enough for confirmation, which will most likely come in December. Then, in January, she&apos;ll get to take the helm of a central bank that isn&apos;t sweating over a little thing like the first-ever sovereign default in U.S. history. Without saying so explicitly, the minutes suggested delinquent Treasury securities would continue to be acceptable collateral at the Fed’s discount window, where banks present a range of securities or loans as collateral for short-term cash. The minutes suggested the Fed also would treat delinquent Treasury debt as so-called money-good in other operations, including its bond-buying program, its securities lending programs (in which it lends out securities in its portfolio to address market shortages) and in market operations with bond dealers. “Meeting participants saw no legal or operational need in the event of delayed payments on Treasury securities to make changes to the conduct or procedures employed in currently authorized Desk operations, such as open market operations, large-scale asset purchases, or securities lending, or to the operation of the discount window,” the minutes said. 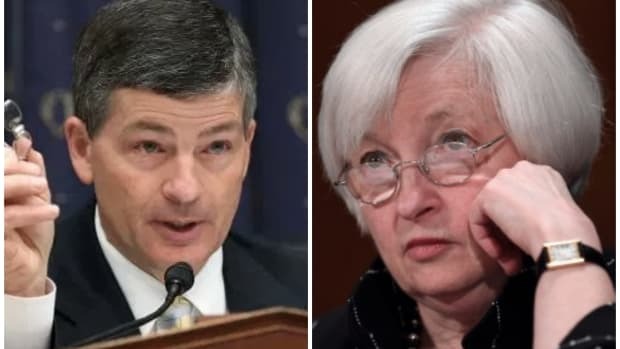 “They also generally agreed that the Federal Reserve would continue to employ prevailing market values of securities in all its transactions and operations, under the usual terms,” it continued. And she&apos;s not the only one breaking glass ceilings around here. The ECB&apos;s governing council nominated Danièle Nouy as chairwoman of the supervisory board of its single supervisory mechanism. Ms. Nouy, 62 years old, has been general secretary for France&apos;s bank and insurance regulator for more than three years…. Reserved and hard-working, she is well respected within the banking community in Paris but also feared by some French bankers, who see her as a "very demanding" and at times an "austere" regulator.